Tom Cruise is doing his part to make your movie-watching experience the best it can be (and promote his latest film). In a PSA recently published on Twitter, Cruise and Mission: Impossible - Fallout director Christopher McQuarrie tackle the soap opera effect. This annoyance is the result of a feature that comes enabled by default on many modern TVs. Further complicating the matter is the fact that different brands have different names for what amounts to motion smoothing or motion interpolation. 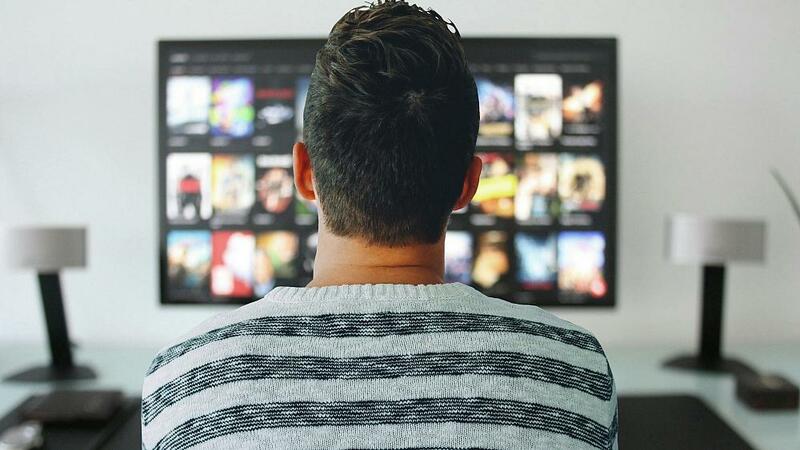 While some consumers may realize that something is “off” with how their TV is working, they don’t know that it’s controlled by a simple setting that can be disabled. Motion interpolation involves the creation of artificial frames that are strategically inserted between real frames to make animation feel more fluid and to counter motion blur. It works alright on some content, like sports, but can totally ruin the effect of 24 fps content such as Hollywood movies. So Tom Cruise is suggesting that we watch movies at 24fps now? I think I'll pass. I use additional software and converters to watch everything I can at 60fps, to avoid motion sickness. And 24fps to me would be like a torture. So you never go to a movie theater? indiferenc, Kibaruk, senketsu and 7 others like this. I can't watch TVs with motion smoothing on. You can tell the difference between real 60 FPS and fake 60 FPS. 24 doesn't divide into 60 cleanly so when you add in frames to make up the difference you have to do so unevenly, meaning sometimes two fake frames will be displayed in a row and other times not, meaning the frame pacing will be uneven and this is visually noticeable. For example if you simply insert one real frame and then one fake frame you are only going to get 48 FPS. In order to reach 60 FPS you have to insert 12 doubled fake frames every second. This means that you will have 12 instances where 3 frames are showing the exact same information. Original frame > fake frame > fake frame. This can cause micro stutter. TV sets that use the next frame's information will only show the same information for 2 frames but depending on the smoothing algorithm, it may not handle doubled frames well and the micro-stutter issue will still remain. From what I've seen, predicted frames or just doubled frames, current methods do not convert 24 FPS content into anything I would consider an upgrade. Clamyboy74, kapital98, JaredTheDragon and 1 other person like this. IMO, motion smoothing is not the only setting that should be turned down or off, Sharpness should also be turned all the way down. It adds artifacts to the image which are not there. Darth Shiv, Clamyboy74, Evernessince and 2 others like this. Yep if you need postprocessing, I think in the modern day and age that is a hack fix to the problem. The real fix is to watch a better source. senketsu, wiyosaya, Evernessince and 2 others like this. I like motion smoothing for sports, dislike it for most everything else. However even then the TV has to be really bloody good at it. If it's not a good TV then you get bad artifacts and I just turn it off. I literally steal the remote at other people's houses when I am there watching their rubbish uncalibrated supermarket TV and turn it off when they are in the kitchen getting me a brewski. Or even bare faced right in front of them. I'm like the motion smoothing Grinch. Surreptitiously adjusting the settings to my liking. Long story short people should buy better HDTVs! Also turn off motion smoothing. I literally steal the remote at other people's houses when I am there watching their rubbish uncalibrated supermarket TV and turn it off when they are in the kitchen getting me a brewski. That makes you just as guilty as Microsoft thinking they know what is best for consumers. Of course not. Microsoft are run by committee these days and they sit in a room and vote as a collective people. Some terrible democracy. People are stupid. One person is smart. There is a word for that as well. "Conceited"
If you were all you claim to be. You wouldn't find need in hiding your efforts. Try not to take everything you read on the internet too seriously. I'm sure you can find a doctor to prescribe you something to help with that if necessary. Failing that there are shall we say....recreational alternatives. You are missing the point. What one does once a month makes no difference, it is what happens every day that does. One of the reason I'm glad I bought a plasma TV when they were still selling them. When I watch sports at other people's house on LCD motion smoothness is terrible compared to my TV and I notice it right away. Its only until I bring them to my house to watch games that they notice something is off with their setup. Surprisingly, I like motion smoothing in movies. Looks more lively. And I'm okay with the movie theatre unaltered motion too. First time I've seen it, I was at a friend's house and they were watching a Planet of the Apes movie. It looked like it was a studio play. I was so distracted and annoyed by it that I barely payed attention to the movie. A better question, OP never had motion sickness when watching a movie on a 60hz HDTV? The loss of frames, which is inherent in 60hz tv's, is far worse than 24p. I find it hard to believe anyone who watches 24p video would say it's less smooth 60hz. The exact opposite. It's why people love film and still go to the theater. Agreed. The caveat here is if your are using a cheap tv, a little bit of sharpness can help with other issue (such as poorly calibrated screens). It's a hack but it's useful when necessary. Nobody should be using sharpness thinking it will magically improve the quality of the image -- it's just going to distort it into a form that you may prefer more. senketsu, wiyosaya and Evernessince like this. I'm glad I'm not the only one brother! I use SVP to upscale all video content to 144fps. 24/30fps looks like a slideshow to me, I see black intra frames. And I avoid going to the cinema, any panning shot hurts my eyes and brain! Look I'm not against 24fps in principle... Art movies that aim for a certain look and mainly static dialogue scenes can look ok at 24fps. I do think that action movies can benefit from a higher framerate in action scenes especially. Maybe I'm so used to it because because I'm a high framerate gamer...? I will have to check this on my TV at home, but if I'm honest I have never noticed an issue when watching movies. Wow, I can't believe someone is still using a CRT! I'm watching movies on TV with the lights on and interruptions, and they're trying to tell me that I'm not getting the movie theatre experience because of motion smoothing? Well, next time I'll turn off the lights, tell the kids to take their phones out and sit in front of me, and get someone to run commentary and spoilers in the background. Then all I'd have to do to get the full movie experience is add overpowering surround sound and powerful air conditioning, ah, and turn off motion smoothing. Can you convert my hotcakes into 60fps hotcakes?, please, I really can't stand hotcakes the way they are. Incidentally I hear the old Duck Hunt game doesn't work on LCD (and possibly plasma?). There's one use for a CRT!